Racing drivers – even virtual ones – wouldn’t be doing their jobs if they didn’t look for every possible advantage. 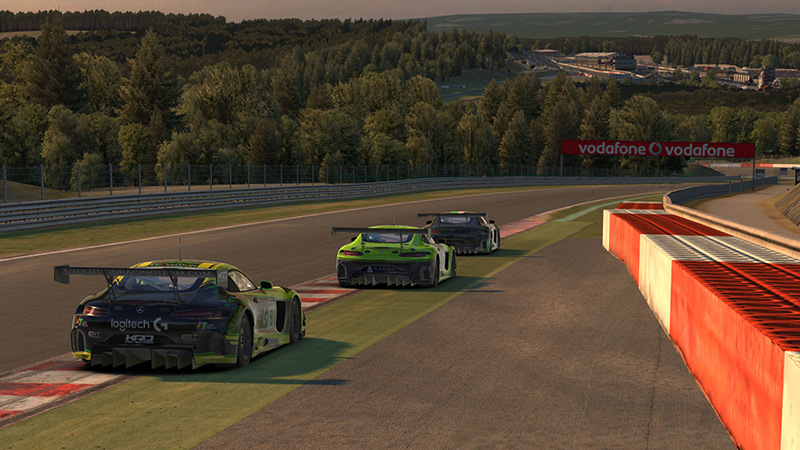 With that in mind, perhaps it’s no surprise that some teams in the recent iRacing 24 Hours of Spa finished with more than 1,000 off-track incidents, routinely using every inch of the available track surface and then some to maximize their speed and minimize their risk in normally tighter corners such as Blanchimont. 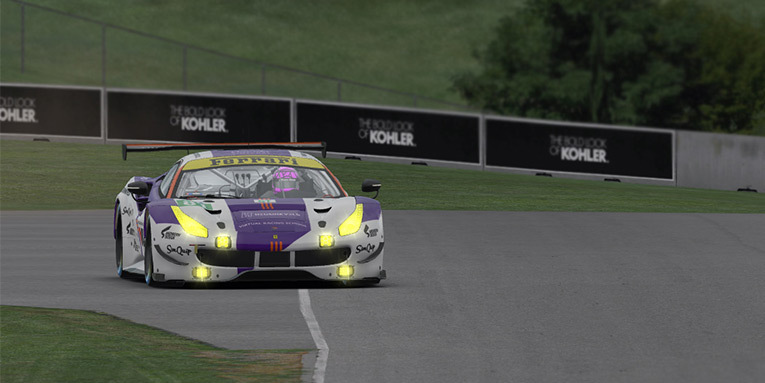 Under iRacing’s traditional rules, endurance races haven’t been subject to an incident limit before disqualification occurs like in all other official series, so the only penalty for repeatedly going off track is to each drivers’ safety rating. And in the spirit of taking one for the team, plenty of drivers at Spa were happy to tank their own SR if it meant running faster laps or earning a better finish. Although iRacing did implement a 100-incident limit for next weekend’s 24 Hours of Le Mans race and have announced the possible development of a drive-through penalty system for repeatedly accruing incidents, none of that particularly helps current leagues such as the NEO Endurance Series, where even a safety rating penalty isn’t an option. This one sentence speaks volumes about where NEO has come from when monitoring track limits, along with where it is headed this season with accurately detecting and penalizing off-tracks. 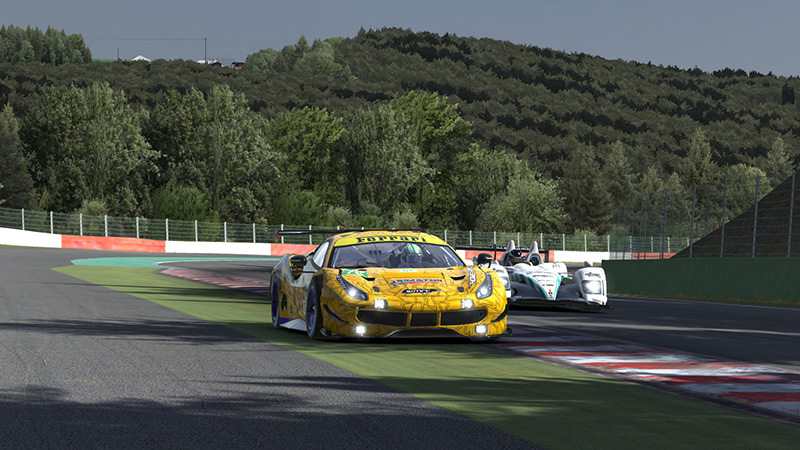 GT3 teams competing at Spa found speed by exceeding iRacing’s defined track limits. As far back as season one, attempts were made to automatically track incidents. However, as NEO co-founder and series director Niel Hekkens explained, that system proved unreliable and ultimately unusable in race situations. That led race control to do things the old fashioned way and manually watch each car – or at least as many as humanly possible. “Overall this works pretty well, but unfortunately there are too many cars for race control to monitor at the same time,” said Hekkens. That meant teams and drivers could game the system — and this web correspondent can speak from experience. In the season-one race at Circuit of the Americas, I was locked in a tight battle with the Slipstream Racing CSpec. I told my KRT Motorsport teammates that I would take off-tracks until race control took notice. Sure enough, they eventually issued me a warning for track limits abuses and I drove more conservatively for the rest of the race. But there’s no telling how many I got away with until that point. In that sense, NEO’s early philosophy was similar to the one used by the FIA World Endurance Championship’s race control, which Hekkens visited at Spa in 2015. Likewise, Hekkens and the other NEO admins tended to watch particular corners of concern, although some tracks had more than others. The ample runoff at Spa invites teams to push beyond the kerbs. Fortunately, the iRacing software and telemetry output has advanced and NEO has a new system in place for season 5 that will automatically and objectively detect off-tracks and other incidents. Hekkens said he doesn’t expect the incident counts to be visible to teams through the live timing interface. This should help discourage any funny business, such as one car forcing an opponent wide if they’re close to receiving a penalty. For individual teams, the incident count shown in the server should exactly match the one visible to race control, which should tell them how close they are to that off-track limit. As for that limit, Hekkens said officials are still determining what’s fair. Once teams reach that limit, they will first receive a warning, then a drive-through penalty every time they hit that number again. That’s similar to iRacing’s proposed system, but it’s certainly not the only direction in which the service could go. The Le Mans circuit, for example, uses slowdown penalties rather than off-tracks in many corners to punish cars for driving beyond the circuit’s boundaries. Hekkens said this system can be an effective deterrent and penalty against running wide, but it can also create unnecessary risk for unsuspecting drivers behind cars serving a slowdown. “It could cause some dangerous situations, when one car suddenly slows down at a place you might not expect,” said Hekkens. He noted that his ideal officiating system would count off-tracks separately from other incidents, with different penalties for accumulating certain amounts of each. The new system in place for NEO this season is an example of such a design, with live admins reviewing car contact and other incidents while the automated system will alert them to off-track exceedances. 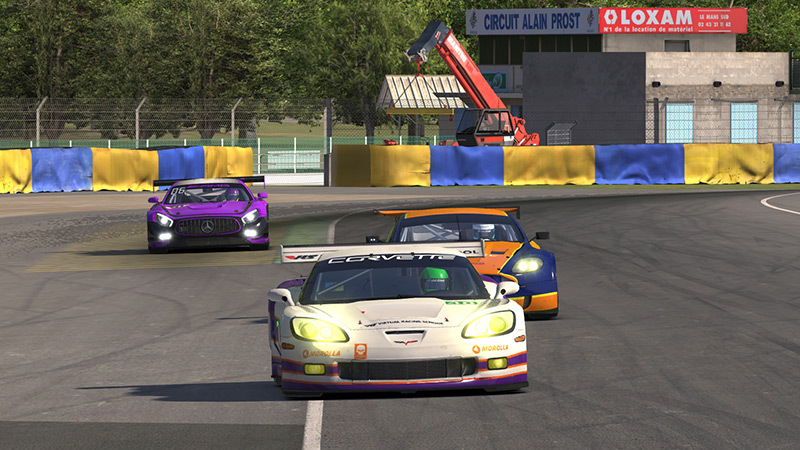 Drivers running wide at Le Mans can expect a slowdown penalty from iRacing. The addition of this new, automated system also brings the demise of one of NEO’s longest-running but least-loved promotions, at least in the eyes of many drivers. It’s a small price to pay for the progress of implementing a more comprehensive system that’s fair for everyone. From the bottom of Eau Rouge to the top of the hill at COTA to the Spoon at Suzuka, drivers won’t be able to hide from the watchful eyes of NEO’s new tracking software this season. True to their job descriptions as racing drivers, they’ll have to look elsewhere to find an advantage.